I don't know what kind of weather we'll find up there since they've had lots of variety in the snow and rain categories. But we'll take whatever it gives us and enjoy each day. Our new furnace was hopefully installed this week so that is one less thing we'll have to deal with when we get there. 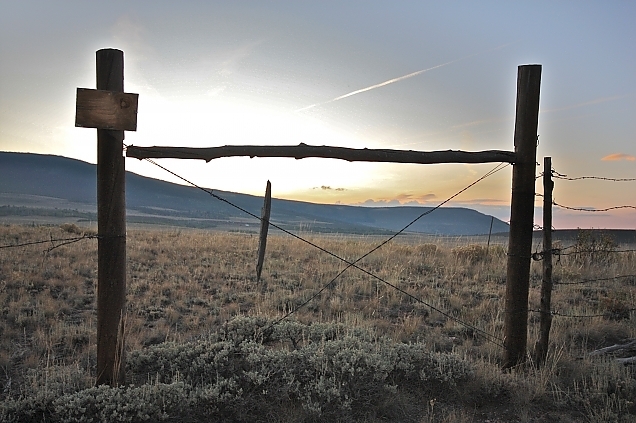 We'll be planting our grass seed that instead of being delivered to our neighbors up there, is now making its way from Cheyenne, Wyoming to our address here in New Jersey. The FedX guy could not find the address for the life of him. The seed will be well traveled. 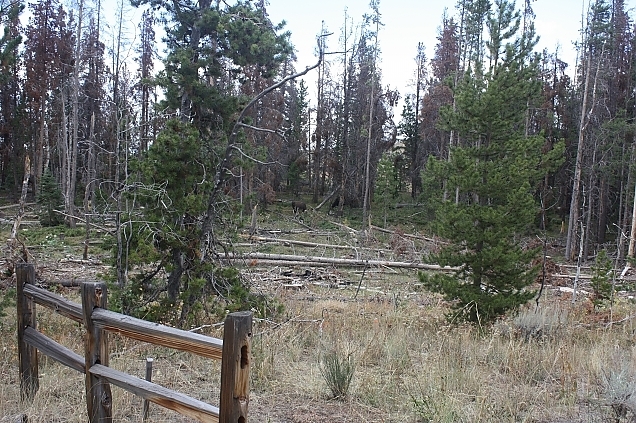 Here is a look at the mess our meadow was in after having it logged back in 2010. Here is how it looked last year after having it cleaned up. 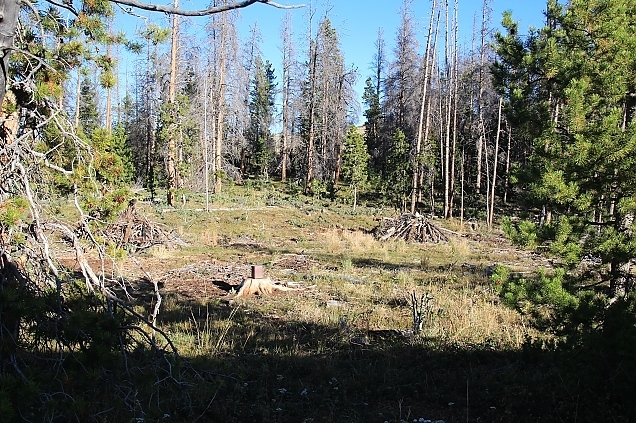 The slash piles you see have been burned over the winter and are no longer there. Here is where the grass and wildflower mix will be planted. We have plenty of other things going on while we are there such as a refurbished propane generator to replace our tiny little gasoline one. Much better than lugging fuel cans full of gas from town, this will be hooked directly in to our propane tank for the cabin. And of course, there are jigsaw puzzles to be done, books to be read, walks to be taken. 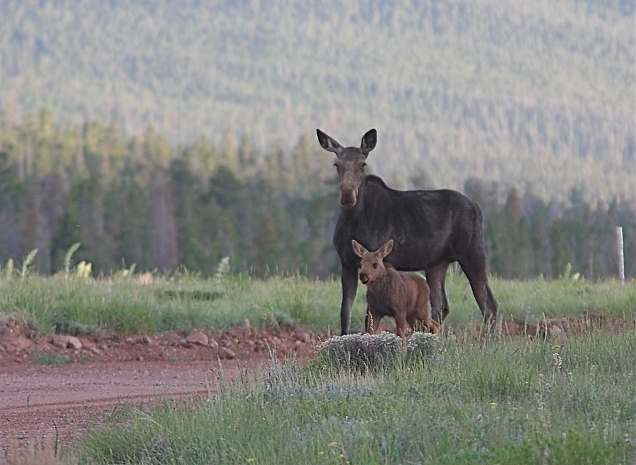 Hopefully we'll see some moose while we're there since this is "baby" time for them. 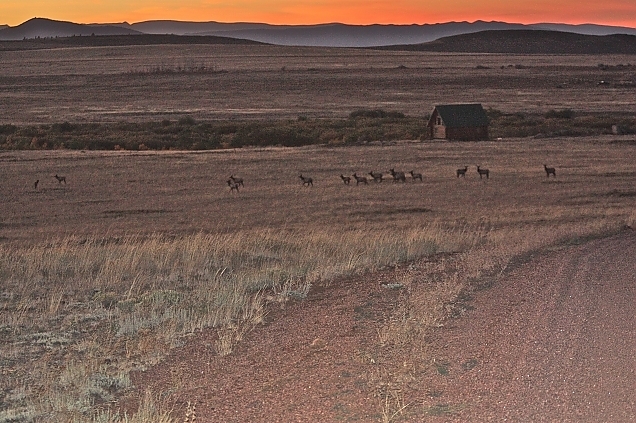 And maybe a herd or two of elk.